The first English translation of the final and most powerful book of poetry by the beloved, award-winning Israeli poet, Leah Goldberg. When she arrived in Palestine in 1935 at the age of twenty-four, Leah Goldberg was already known as a significant emerging poet in contemporary Hebrew literature. Today, mention of her name is apt to evoke a nostalgic sigh among Israelis who have grown up hearing her poems read, quoted, recollected, and—having been set to some four hundred melodies—sung on the radio. 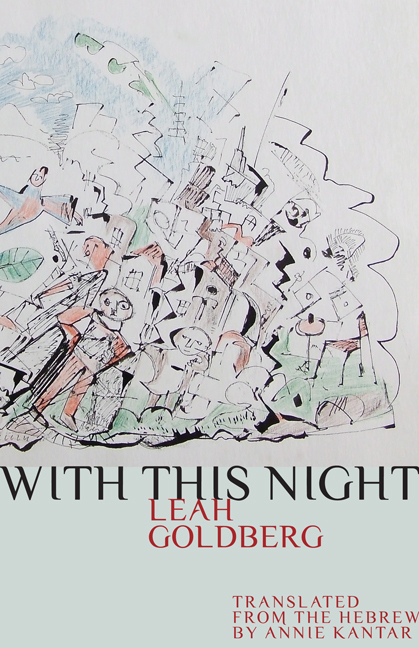 In the wake of overwhelming new attention on Goldberg's work in Israel, With This Night makes available for the first time in English the final collection of poetry that Goldberg published during her lifetime. Leah Goldberg (1911–1970) was the author of nine collections of poetry, three plays, three novels, a memoir, literary criticism, children's stories, and translations of Ibsen, Petrarch, Shakespeare, Tolstoy, and other classical and modern poets and novelists. Shortly after her death, Goldberg received Israel's highest honor, the Israel Prize. Annie Kantar is the recipient of an Academy of American Poets Prize and a Fulbright Scholarship. Her poems and translations have appeared in journals such as The American Literary Review, Barrow Street , and Tikkun .